Titchfield tree services are a well established tree surgery company based in Fareham in Hampshire we cover all aspects of hedge pruning and general tree surgery right across the county, so if you require any form of tree work or general garden maintenance then please contact Hedge Cutting today for a free quote. 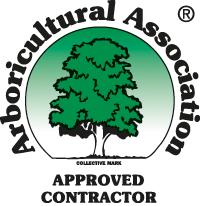 We carry out all aspects of tree care and arboricultural work including trimming, pruning, cutting, felling and stump removal throughout the Hampshire and Central Southern England regions. Some of the areas we cover are Southampton, Fareham, Gosport, Lymington, Ringwood, Andover, Farnborough, Basingstoke, Aldershot, Emsworth, and many, many more. We have a proven track record and are happy to deal with any size of job, both domestic and commercial.